Live 1604 offers high-fidelity sound and high-quality DSP tools in a single package. Each microphone channel is outfitted with a high-headroom ultra-low-noise DNAâ¢ microphone preamp for unprecedented sound quality and a robust audio signal path. 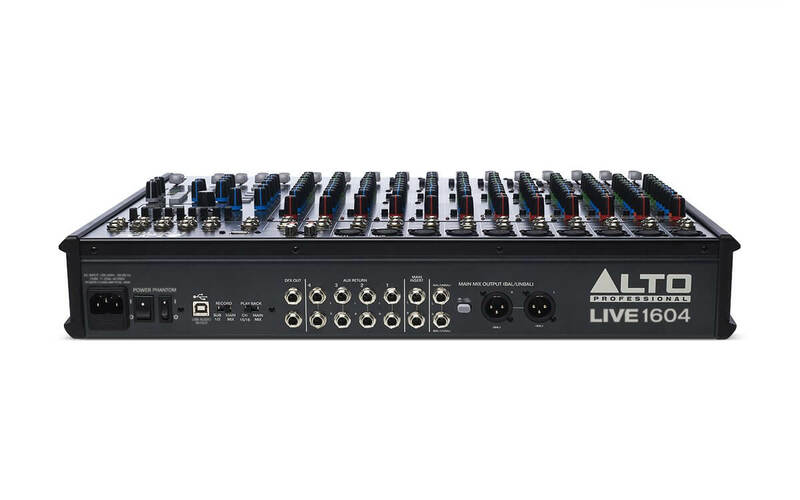 Live 1604's high headroom results in cleaner mixes, a purer signal path, and loud, punchy audio. Onboard analog compression (channels 1-6) helps control dynamics and gel instruments together for a cohesive, defined mix. 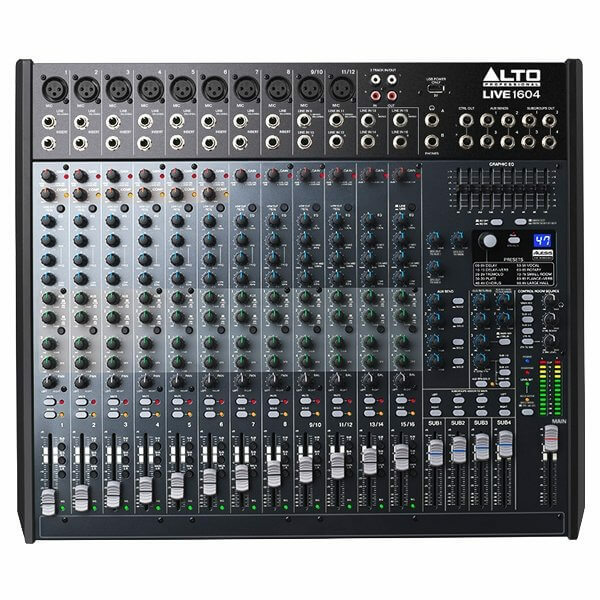 With high headroom, pristine sound, and built-in dynamic control, Live 1604 ensures that the full dynamic range of your mix comes across with striking clarity.